The Government’s public consultation on the future of badger culling in areas which have already completed 4 years of culling has now ended. What they are proposing is to continue culling and issue further 5 year licences with reduced controls. This will have a major detrimental effect on West Somerset’s and also West Gloucestershire’s badger populations. 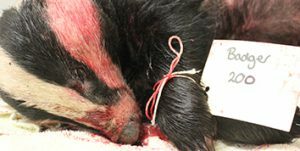 Although it is very likely that, as before, the Government will continue to ignore the advice of independent scientists and the majority of the public who are against their intended changes, the Somerset Badger Group along with many other organisations has sent a response.